In addition to regular training classes, the Macdonald Academy also offers a range of demonstrations, introductory workshops and seminars that are open to all and which are ideal for educational, team-building and entertainment purposes. Intensive weapon-specific workshops can be tailored to your requirements in duration, focus and experience. Lasting anywhere from one hour to one week in duration, workshops are generally one or two days long and are usually held over a weekend, offering group instruction in a particular weapon form, or two or more, time permitting. These are ideal for introducing European martial arts and Historical Fencing to an established group or club, and are taught from the basic fundamentals of the relevant style, before progressing through the system and techniques in a clear and methodical manner. 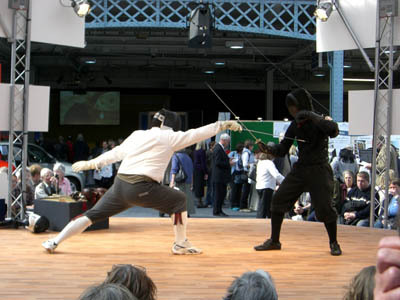 The Macdonald Academy of Arms Demonstration presents the weapons, systems, and protocols used in the Academy and explains the historical origins and fencing traditions that the Academy is based on. Weapon or Period Specific Demonstrations cover a particular historical period to complement your event, or cover the history, use and techniques of a particular weapon of interest. 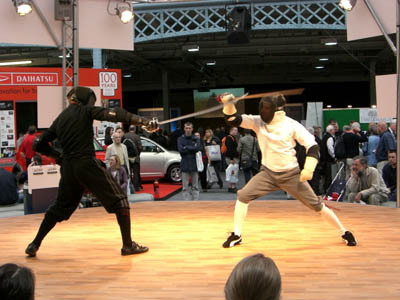 The weapons use is brought to life by demonstrating specific techniques and showing its system in action with free-fencing action. 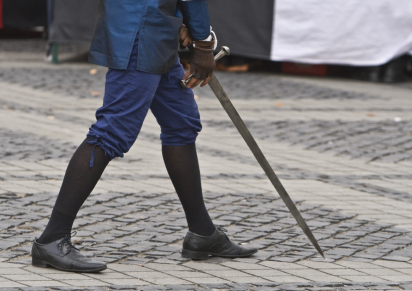 The History of Swords and Swordsmanship demonstration provides a brief outline of the development of the sword in Europe and its use, encompassing a variety of sword styles from 13th through to 19th century. 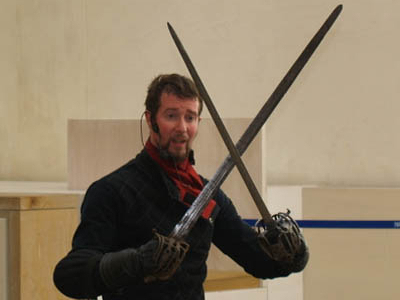 This is a highly informative and captivating demonstration, with historical explanations illustrated with free fencing in various weapons styles. A slide assisted talk on the subject of Swords and Swordsmen in Scotland documents the development of unique Scottish sword styles in use throughout history, along with fascinating accounts and tales of legendary Scots who lived and triumphed by the sword. Talks include a display of original and reproduction weaponry for close examination and handling. 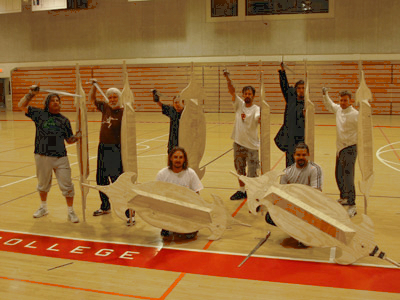 In addition to the standard demonstrations and workshops, the Academy offers a workshop in 18th/19th century singlestick that is specifically tailored as an excellent group Corporate Event. This is an exciting, entertaining and fun workshop for all involved and gives all participants the chance to try their hand at something new and very different. Safety equipment is provided. Fight choreography and direction services with a wide range of weapons for any stage or screen production, large or small. 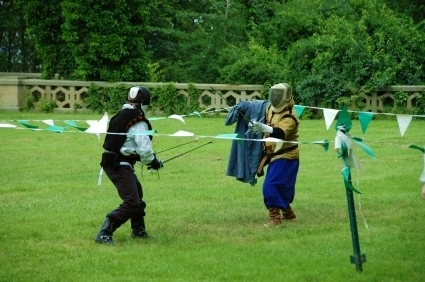 Stage and screen combat can be choreographed using entirely realistic historical techniques or employing more of a dramatic theatrical nature for sequences and overall effect. 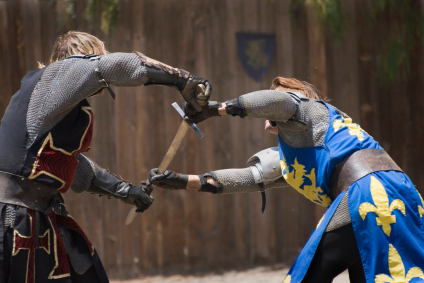 From individual duel or brawl to a full scale battle, be it short exchange or climactic combat, the ideal fight scenes can be created for your production to give it the most fitting excitement, drama and realism possible. The Academy also provides professional consultancy on accurate historical weaponry use for application in stage and screen productions.